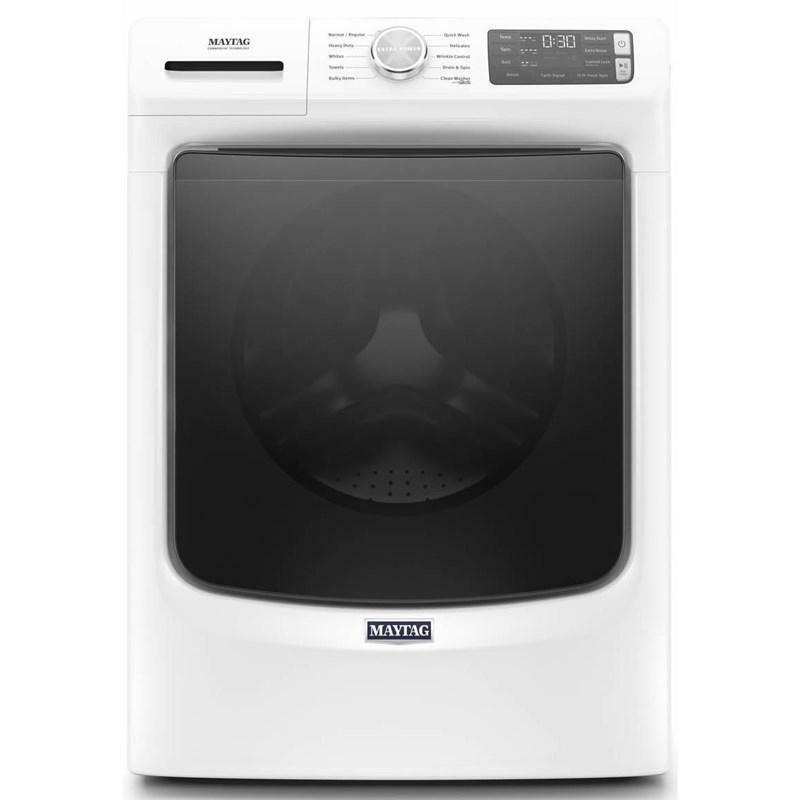 Featuring the steam refresh cycle, this high-efficiency dryer helps relax wrinkles and reduce odors without rewashing. With enough space to evenly dry your largest loads, this 7.0 cu. 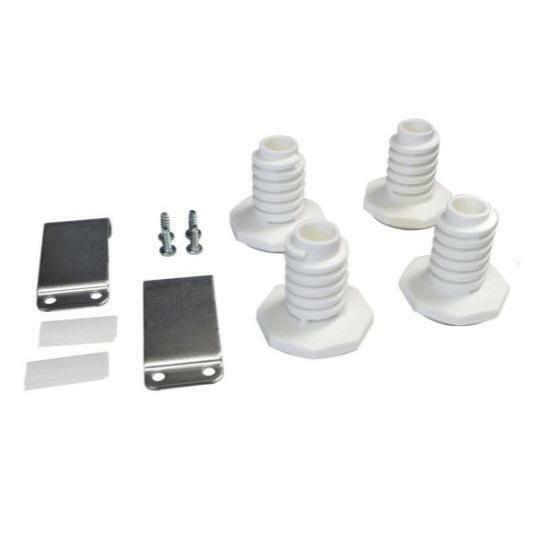 ft. steam dryer also uses IntelliDry® sensors to help eliminate over drying. 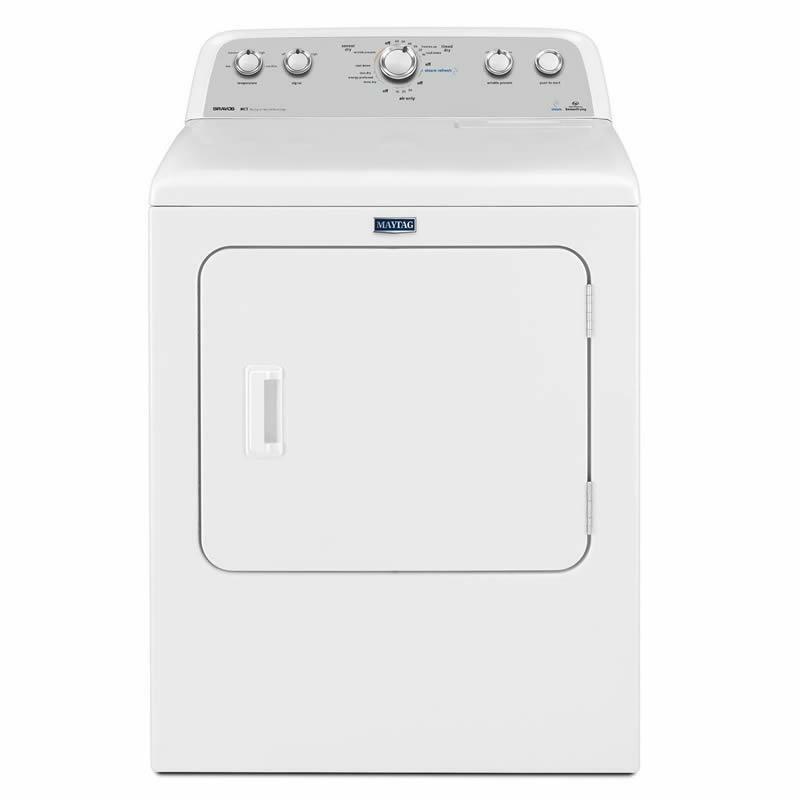 This electric dryer even features a wrinkle control option that helps prevent wrinkles by intermittently tumbling clothes after the cycle has ended without adding heat. Best of all, this dryer is Better Built with long-lasting Maytag® Commercial Technology, so you can count on high-performance drying for many years to come. It is a quick touch up for your clothes - it reduces wrinkles and removes odors in as little as 20 minutes. It removes up to 99.9% of 3 common household bacteria, so you can rest easy with whatever towels, sheets and baby clothes you're keeping close. Additional Dimensions Depth With Door Open 90 Degree 50 1/2".